We’ve seen a shift of seismic proportions in the culture of poker throughout the last 10 years or so. Technology has been a key factor in that shift, with online poker, in particular, largely responsible for the game’s evolution. Ever since online poker made its debut in the late ’90s, there’s been a rapid climb in the games themselves and the convenience that comes with being able to play them from the comfort of our own homes. Online gambling sites have benefited both from the increased accessibility of fast wireless networks and the success of smart mobile devices. This combination has led to a new type of poker player, including more women and younger players than ever before. There have been numerous theories suggested as to why this change has occurred, with the most likely being that online options are ideal for anyone new to the game looking to learn poker in a non-intimidating environment. It’s also true that younger poker players are more prone to engaging with technology. The influx of these new players, spurred by advances in technology, has further led to a demand for a faster style of game that they can dip in and out of at their leisure. This, in turn, has resulted in such tournaments as spin-and-go, that feature fast-moving action and guaranteed prizes. For players looking for a combination of the adrenalin rush of live poker and the convenience that comes with online gambling, some sites are starting to offer live poker. A player comes up against a dealer, with advanced number recognition tech employed to convert real cards into digital data for online play. The online gaming industry as a whole (which includes poker, of course) was valued at $550 billion in 2016 and could well reach $950 billion by 2021, according to data from Juniper Research. 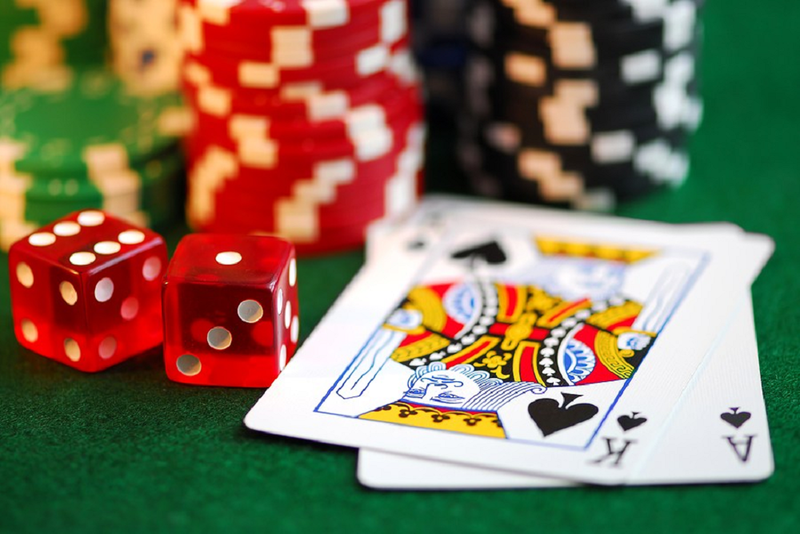 While online casinos are performing well, partly thanks to such popular casino games as roulette and baccarat, poker remains a firm favorite. Like any other industry, there are spikes. According to Cassiopeia, world online poker in Nevada sees a huge boost in the week leading up to the World Series of Poker (WSOP). In 2016, there was a 17.8 percent increase over the course of the week. The main event from the World Series Of Poker 2016. As technology continues to evolve, these numbers will likely grow even further. One feature of technology that changes how we play poker are apps. There are numerous apps designed specifically for poker players, but there are also those that make life easier in general with very suitable uses for the modern poker player. Here are five of the more popular apps that benefit anyone who plays online poker. This piece of software provides you with more than 10 million poker simulations. 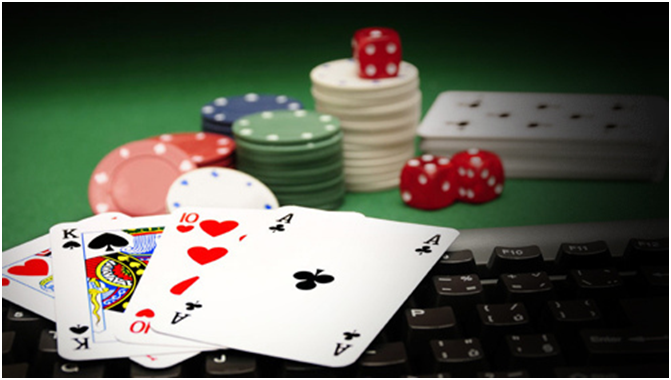 It calculates equity for poker variations including Omaha, Omaha, 8, Hold ‘Em, Razz, Stud, and Stud 8. It calculates equity in hand versus hand scenarios and really shows off its capabilities in its graphs and calculations in hand versus hand range situations. It quickly calculates the number of combos you may be facing to assist you in your decision on whether to make a big call or not. There’s also a forum where you can collaborate with other poker players and come to a collective decision. It’s great for improving your knowledge before playing at a real poker site such as 888. By using this app, you’ll have an advantage over your opponents and be prepared to make the most out of 888’s free £20 bonus or even just play in practice mode for a while to gain confidence in your poker play. This note-taking management software can be a Godsend for poker players. Losing 12 months worth of notes on players due to them being stored on a computer that no longer works is a problem you don’t want to have. It’s always a good idea to back up player notes, as you never know when that very scenario could occur. The app is also useful for reminding you of things that you have scheduled, such as upcoming tournaments. You can also set reminders on your goals or take notes on strategy videos that may come in useful later. In the old days, when we needed to talk to a friend quickly, we could contact them via AIM instant messenger. Skype is essentially AIM on steroids. It’s so popular that, as of October 27, 2017, Skype had been downloaded one billion times on Google Play alone. You can send instant messages, attachments, and links to each other. You can also create player groups where you and your friends can get together and talk over hand histories, player strategies, and just chat about all things poker. There’s also an option to share your screen, which is great for in-depth hand reviews. If you have a poker coach or are intending to offer poker coaching yourself, screen sharing is ideal for running through hands quickly. Chains is all about lifestyle improvement. Essentially, you set goals for things you want to achieve, and when you’ve reached a goal, Chains provides you with a link. With each new successful day, you’re given a new link, which becomes part of a chain. The aim is to keep the chain going for as long as you can. It’s based around maintaining positive habits. While chains could include common goals, such as exercising and eating more healthily, you could set goals specific to you as a poker player, such as studying the game for an hour a day. We’re all forced to manage an increasing number of passwords after signing up to one online account after another. If someone managed to get a hold or your poker, banking, or bitcoin wallet password, it could lead to some pretty serious consequences. Experts have also advised to never use the same password twice. However, research from mobile identity company TeleSign revealed that 73% of online accounts are protected by duplicate passwords. Of course, by choosing a different password for each account, it would seem impossible to remember them all. With Last Pass, you’re only required to remember a single password. It uses encryption technology to keep your passwords safe, so worries over your information being compromised are no longer a concern. There are a number of similar programs out there, so feel free to do your own research; Last Pass remains the most popular, however. A peek into how online poker may further evolve came from an experiment that saw an AI computer called Libratus take on four of the best poker players in the world in a 20-day tournament. Libratus won, leaving the table with $1.7mn in chips. The opposite result occurred in an experiment that took place just two years earlier when a less sophisticated AI computer called Claudico failed to beat his human opponents. The results of those two experiments only serve to illustrate just how fast this technology is developing. Eyes are currently fixed on the possibilities that lie ahead in the realm of visual reality and what it can bring to the world of poker. Now that VR has been made affordable, and software is being developed alongside it, there’s some very exciting potential around the corner. It may not be too long, for example, before virtual tournaments will take place, with players representing all parts of the globe playing together in a virtual space. Further, VR may enable the average online poker player to take part in an even more authentic “live” experience. Undoubtedly, we’re living in exciting times for the world of poker. It’s hard to predict just where technology will take poker in even the short-term.